Frame & Body Accents / Fender Tips & Trim / MIsc. Click here to View or Purchase Engine & Body Accents / Fender Tips & Trim / Misc. Engine Accents / Exhaust / Misc. Click here to View or Purchase Engine Accents and Misc. 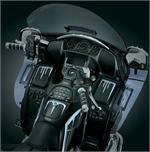 Click here to View or Purchase Risers / Windshields / Master cyl. 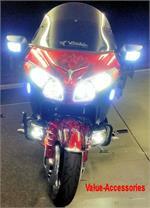 Covers / Clamps / Grips / Mirrors & More. Footpegs / Floorboards / KickStand / Misc. Click here to View or Purchase Wheel Balancers / Caliper & Rotor Covers / Wing Deflectors & More. Click here to View or Purchase Dr. Backrests / Grabrail / Passenger Armrests / Misc. 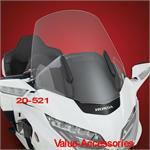 Click here to View or Purchase Luggage & Racks / Saddlebag Supports / Hard Bags / Hitches and More. Click here to View or Purchase Covers / Oil Filters / Brake Pads / Plugs / Cleaners / Misc.